Few things get your heart racing as much as rally driving and with Phil Price Rally School you can experience this motorsport on a rally stage with breath-taking views. Our stunning rally stages are used by clubmen and top world rally teams all over the world, and have fantastic on-site facilities, including hospitality units, workshops with tyre changes, pressure washers, toilets and a washroom. 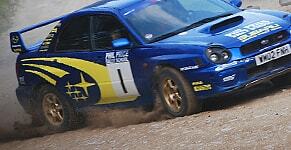 At our venue in Wales you enjoy a competitive day out and truly exercise your driving skills. We not only offer One Day Intense Courses but Corporate Days and Group Outings which are ideal for friends and family. 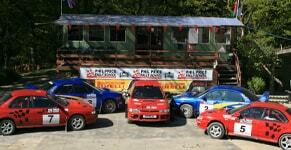 Many people also look to gain their MSA licence at Phil Price Rally School to get themselves on the road to rallying. Having obtained a Certificate of Excellence from Trip Advisor, Phil Price Rally School is considered one of the best attractions in the local area. We attract enthusiastic motorists from all over the UK keen to experience rally driving at an unbeatable venue. Why not read more about our driving days, or book your rally experience today.